The original badge is said to have been designed by the wife of Sir Michael O'Moore Creagh, who commanded the Division from December 1939. This pattern of a jerboa (desert rat) was in use throughout their service in Sicily and Italy, and it has inspired Realm & Empire's graphics for tees and sweaters in their SS16 collection. This handmade ensign was manufactured by members of the Long Range Desert Group for the MFV Kufra, a commandered fishing vessel used for raiding operations into Yugoslavia from Italy in the Second World War. 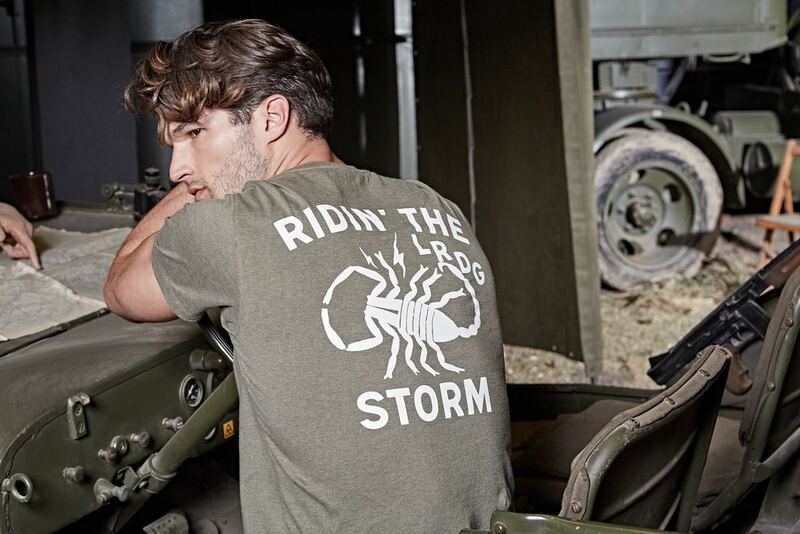 The scorpion is the symbol of the Division, and has also inspired Realm & Empire's graphics for tees and sweaters in their SS16 collection. This escape map was found sewn into the lining of a beret worn by a member of the LRDG. It has inspired the lining of tees and sweaters in Realm & Empire's SS16 collection. These were standard army issue trousers of the Battledress uniform – khaki with an external pocket to the right upper leg and a large external map pocket to the left front thigh. These features inspired the large pockets on the SS16 combat trousers and map pocket detailing on the shorts and jacket. Ernest readers receive 20% off the SS16 collection; just quote 'ERNESTSS16' at the checkout on Realm & Empire's website; realmandempire.com. Offer ends midnight 30 April 2016. This blog post was created in collaboration with Realm & Empire. Read more about the brand in the Ernest directory.